The main plot is that a struggling college professor, Samuel Andreson-Anderson, has reneged on a contract to write a follow-up to his successful first novel. His mother, whom he has not seen since he was 11, has been featured on national television for throwing rocks at a presidential candidate and faces trial for assault and other charges. His publisher threatens to sue him for breach of contract, unless he writes a tell-all biography about his mother. As Samuel embarks on researching his mother’s life, his own demons rise up to haunt him. The story is told with flashbacks, but otherwise unfolds in the present. Disparate characters are introduced in early chapters and their relevance to the plot becomes apparent over time. Without revealing too much, the novel ties up loose ends. This is a well-researched, well-written, long book. 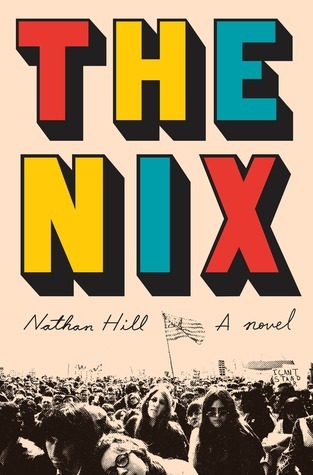 Hill’s debut novel ranges from cynical to heartfelt and compassionate. The characters are vivid and Hill’s ability to represent the thoughts of an 11-year old boy, a teenage girl, an online gaming addict, a college student who believes she shouldn’t have to work for success, and an old man living with dementia is impressive. (These are just a few of the memorable characters.) The story itself spans decades and made me feel like I was present in each moment, whether it was World War II-era Norway, the demonstrations at the 1968 Democratic National Convention, or modern-day New York City. Also, there’s a chapter told in Choose Your Own Adventure style. Was there anything noteworthy about the book? It’s Nathan Hill’s first novel. It left me wondering what has become of ethics. I would recommend this book to people who want to read a long and accessible story about love, loss and politics. It’s 620 pages long: read it on spring break (if you read fast!) or when the semester is over, when you aren’t busy with school. What would you pair this book with? I’d pair this book with taking a break from TV news, social media, politics and playing with your smartphone. This entry was posted in Book Reviews, Just for Fun, Read Great Things Challenge 2019, Uncategorized, What We're Reading by Stephen Brooks. Bookmark the permalink. Stephen is a reference librarian at Durham Tech. He has blogged previously at acqweb.org and for American Libraries magazine online. He enjoys reading 20th and 21st century literature, biographies and books about sports.